Polaroid clicked into gear at CES this week, launching an Android-powered smart-camera with built-in Wi-Fi capabilities and access to the Android Market. The Polaroid SC1630 is far from your standard snapper. Making use of its Android platform, users can download apps and remain entertained through games when there's nothing worth shooting in sight. 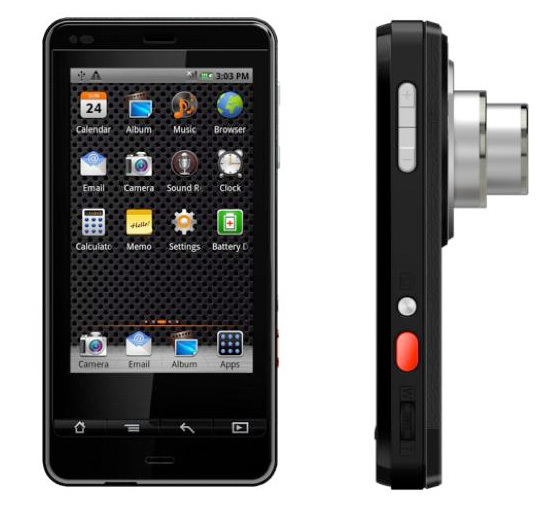 It's like an iPod Touch in the body of a point-and-shoot. The company points towards the SC1630s camera credentials – a 16Mp CCD sensor and 3x optical zoom – as features most smartphones fail to match. On the rear there's a 3.2in touchscreen display, used to access apps, as well as a host of production functions, various scene modes and editing tools. The SC1630 also throws in Bluetooth and Wi-Fi, so geo-taggers and social networkers can quickly upload their experiences before keeling over from Facecrack withdrawals. There's the option of a 3G connection too, should users really want to push the boat out.